Aspects such as global challenges, growing awareness of sustainability, expectations of our customers and our own motivation are our driving force. Detecting weak points, developing possible improvements and embedding daily quality conscious actions in a systematic and transparent quality process is a fixed part of our work. Against this backdrop, we have started to set up an internal quality management many years ago. 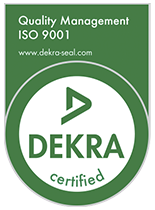 Since 2017, our quality management has been certified according to the ISO 9001:2015. We do not compromise on the quality of our products. We produce consciously solely in Germany. This way we provide evidence that we adhere to the highest occupational safety standards and technical norms in the process of production. Our long-term employees get paid a fair wage and can rely on a safe and pleasant workplace. We use high quality raw material in our company in order to guarantee a long operational life of our proofing baskets. In addition to the use of the latest CNC technology, the largest part of production is still manual work. Every proofing basket is precisely and cleanly processed by our experienced employees who check every single brotform at the end before it gets send to our customers. For more than 10 years, the DGUV-Test test and certification centre food and package, department food, certifies our rattan proofing baskets according to the testing principles for food processing machinery and hygiene. This certification is particularly important for the HAACP programme in bread production and gets renewed every five years. The authenticity of our products, clear guarantee of origin and highest safety for our customers are important cornerstones of our company philosophy.We supply the bakery trade, bread industry, hotels and gastronomy around the world. Thereby we convince with highest quality, fair trade relationships and our unique range of products. Protection of finite resources and energies, prevention of problematic emissions into the environment and preservation of natural ecosystems are the demands on our products as a company with ecological awareness. Therefore, we contribute to the eco-management-system (EMAS) since 2018. 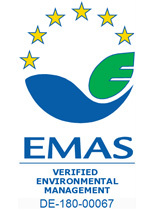 Around the globe, EMAS is seen as one of the most demanding systems for sustainable environmental management und fulfils all requirements of ISO 14001 at the same time which is fully integrated. In a certified environmental statement we report about our efforts to improve our environmental performance, what areas we can influence directly and what goals we have in the future in order to create our production processes environmentally neutral. The use of CO2 neutral energy from our own PV system, technical and energetic restoration of buildings as well as the introduction of clear rules for waste avoidance and disposal have been major milestones on our way to a sustainable production.